Andrew J. Mollica is an Athens native who focuses his practices in personal injury litigation and administrative law matters, including Workers’ Compensation, Unemployment Compensation, and Social Security. Andy attended The Ohio State University, where he received both his bachelor’s and law degrees. He is licensed in the state of Ohio, and admitted to practice before the United States District Court for the Southern District of Ohio, and the United States Court of Appeals for the Sixth Circuit. 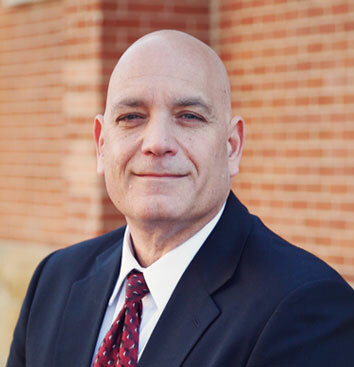 Andy is a member of the Athens County Bar Association (Past President), Ohio State Bar Association, and the Ohio Association of Civil Trial Attorneys. He is also a member of a number of organizations, including the Athens County Public Library Board, Ohio Sled Hockey, Inc. (Past President), and St. Paul’s Catholic Church (Past President, Parish Council). Andy served on the Athens City Board of Zoning Appeals, and was an instructor of real estate law for Ohio University. He is a former member of the Order of Symposiarch, Kiwanis, and the Knights of Columbus.